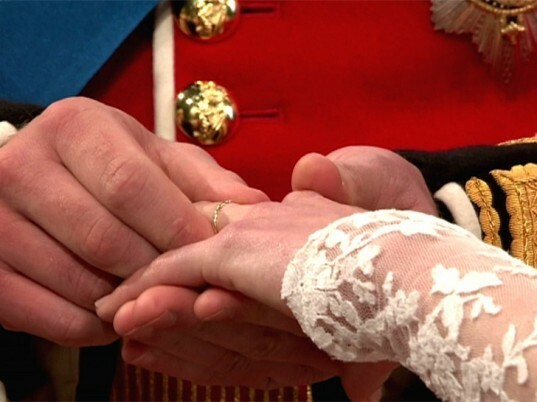 Even though the royal wedding has passed, there’s still a lot of buzz going around over the ceremony and dress – but what about that eco-fabulous ring? Designed by Wartski, a Welsh family-run jewelry business founded in the late 1800s, the sparkling band was in fact hand-crafted from gold mined from the mountains near Anglesey in Wales. The gold originally belonged to Queen Elizabeth II, who gifted the precious piece to her then-engaged grandson to give to his blushing bride. Even though the royal wedding has passed, there's still a lot of buzz going around over the ceremony and dress - but what about that eco-fabulous ring? Designed by Wartski, a Welsh family-run jewelry business founded in the late 1800s, the sparkling band was in fact hand-crafted from gold mined from the mountains near Anglesey in Wales. The gold originally belonged to Queen Elizabeth II, who gifted the precious piece to her then-engaged grandson to give to his blushing bride.